This beautiful legal basement suite in the desirable Charlesworth area in SW Edmonton is sure to impress. Whether its the multitude of large windows filling the unit with natural light or the high ceilings or the completely private entrance this unit is sure to impress!! 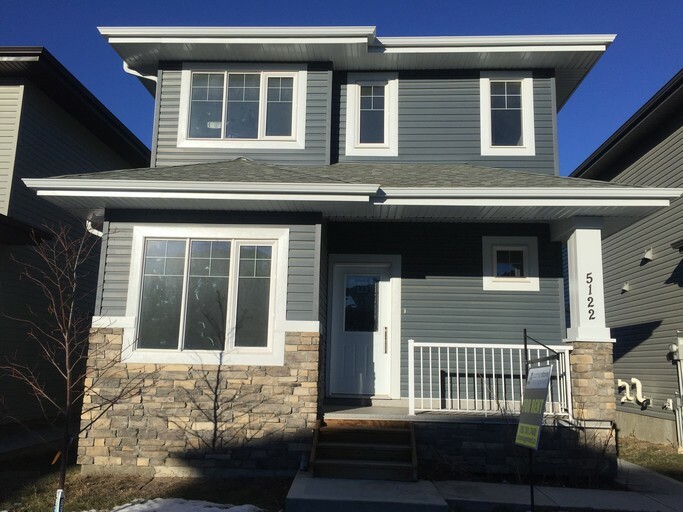 Located in close proximity to schools, shopping centers, transit stations and even Anthony Henday, the location can't be beat! Enter the unit from the side of the home, and find a large mudroom complete with tile and a large closet. Continue down into the unit and find gorgeous dark laminate flooring with beautiful baseboard accents throughout the entire unit. The living room and kitchen share an open concept design. The kitchen is complete with a large fridge, and stainless steel stove. There is plenty of cupboard and counter space too. Off the living room is small open storage area, and another storage are under the stairs. You'll also find a large bedroom with a spacious closet. The bathroom has beautiful tile work above the large tub shower. Not to mention you have your own private laundry! WOW! No more sharing laundry! Utilities are flat rate 140$.